Power Stick: Can a Single Sound Help You Finally Master Lag? The best training aids in golf are the ones that help you finally master a universally elusive skill. They simplify a technique that baffles even high level golfers. They introduce an entirely new approach to an old and worn-out problem. The new Power Stick promises to do every one of these things. 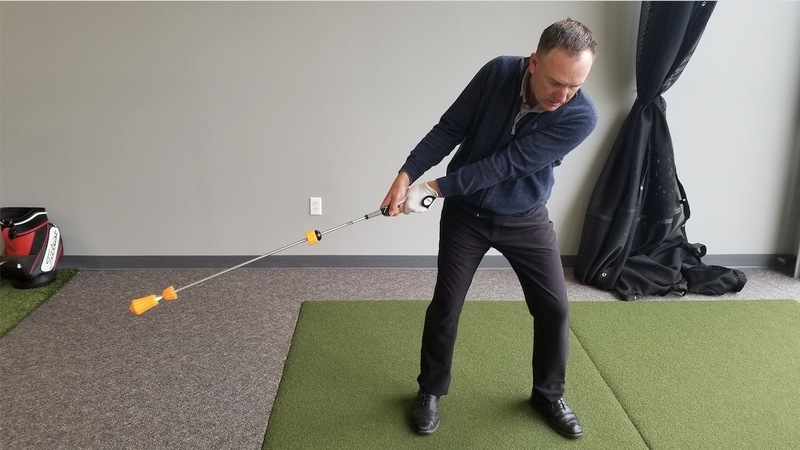 At first glance, the stated goal of the Power Stick sounds simple: The designers set out to create a training aid that would help golfers “increase clubhead speed at impact.” It’s an appealing objective. Faster clubhead speed means longer distances, and that’s something we all want, right? That said, beneath this seemingly standard goal, the Power Stick is actually designed to address a more complicated challenge. 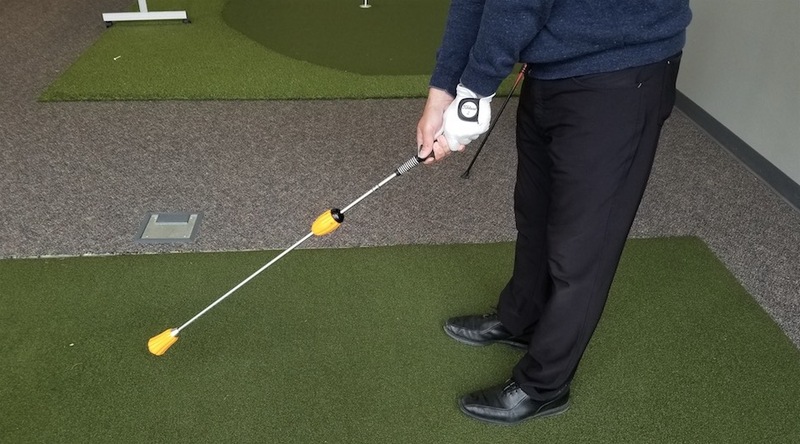 This training aid sets out to increase clubhead speed specifically by helping golfers finally master lag. A tool that can train you to swing faster is one thing. But a tool that helps you swing faster by perfecting a technique only the best players can pull off consistently? That’s intriguing. To clarify what lag is about, let’s start by talking about what happens in the downswing for most amateur golfers. In the transition from backswing to downswing, most casual golfers immediately hinge their wrists, casting their clubhead out wide. This approach makes sense on an instinctual level. It’s an attempt to build up momentum with an expansive swing motion. Technically, there’s nothing wrong with it. There’s just a better way. Instead of casting out, great golfers keep the angle between their forearm and club shaft tight as they start to swing down. Another way to say it is that they keep their wrists cocked so the shaft remains more-or-less vertical, rather than hinging their wrists to sweep the clubhead down. Then, they release their wrists closer to the bottom of the swing. By suddenly changing the direction of the clubhead, they create a whip-like motion that kicks speed into the clubhead. Releasing lag early causes a decrease in overall distance. The Power Stick helps train golfers to release lag at the moment of impact for maximum overall distance. Unfortunately, lag is far easier to talk about than it is to do. This technique is all about timing and control—two of the hardest skills to master. That’s where the Power Stick comes in. How Does the Power Stick Work? Both the design and function of the Power Stick are surprisingly simple. The training aid is essentially a club shaft without a clubhead. 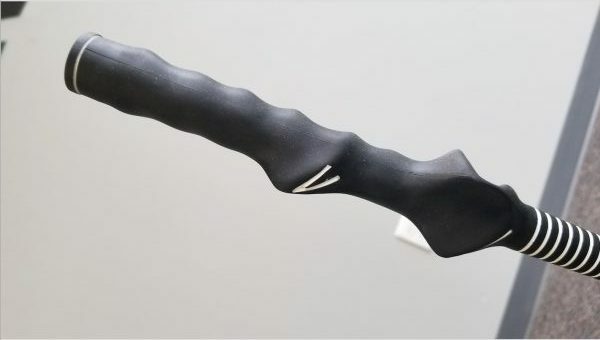 It’s the length of a standard driver, and in addition to the Speed Bullet (which we’ll get to in a moment), it features a special grip to guide your hands into proper position. Now, the grip is more of a bonus in the Power Stick’s design. But the heart of the training aid’s purpose lies with the Speed Bullet. The patent-pending Speed Bullet is a movable magnet that travels the length of the club shaft. 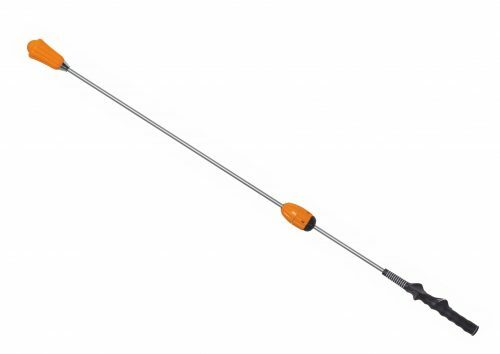 Another magnet—a stationary one—sits below the Power Stick’s handle. When the Power Stick is in a neutral state, the Speed Bullet remains attached to the stationary magnet. But when you swing the Power Stick as you would your driver or iron, the bullet stays in place on the backswing, then breaks loose and slides down the shaft the moment you uncock your wrists on the downswing. When you reach maximum velocity, the Speed Bullet hits the stopper at the bottom of the shaft, producing a loud “crack” sound. How Can Power Stick Increase Speed? You learn two things from that audible crack. First, you gain a sense of your swing speed. The crack will be louder the faster your swing is. 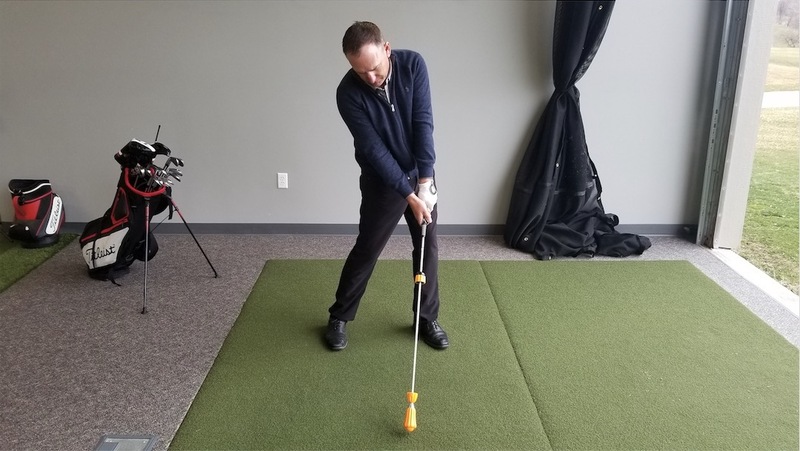 Second—and this is the big one—you learn if you’re releasing your wrists at the right time to create lag and maximize the power transferred to the golf ball. You should hear the crack at the moment of impact. If you hear it immediately after impact, that’s okay, too. However, if you hear it before you make contact with the ball or a second after, you’ll know you’re not releasing your wrists at the right time. The good news here is that this means there is more speed and more distance available to you if you can just gain control of that lag. The designers of the Power Stick promise you can. In fact, they say 20 swings with the Power Stick every day will lead to a gain of 20 yards on every shot. Why would you get such benefits from one little crack sound? It’s called “sonification of movement,” and it’s a highly effective method for guiding motor perception and motor learning. Your brain and body are surprisingly quick to adapt to the direction of the crack, adjusting until you’re able to produce the sound at the preferred moment. Then, as with all golf practice, the more you drill that perfect swing, the more your newly discovered lag becomes second nature to your body. When you pick up your regular clubs, you create lag again almost out of habit. And once you’ve learned how to consistently create lag, you still haven’t necessarily outgrown the Power Stick. The training aid is designed to grow with you, featuring five different settings depending on your regular swing speed. So, once you’ve accomplished crack-at-impact, you can challenge yourself further by kicking the setting up to the next speed. The lesson being: you can always, always be faster. Is the Power Stick Worth It? Now that you know how the Power Stick works, let’s take a look at the numbers. For every mile-per-hour you gain in swing speed, you can expect to gain about 2 ½ yards in distance. 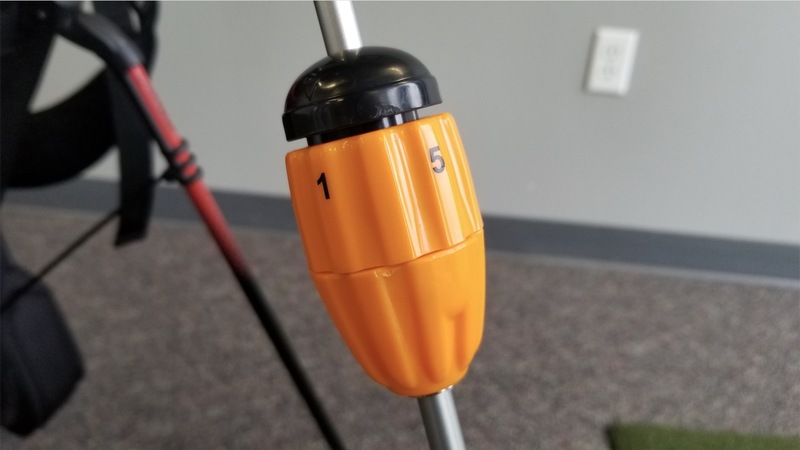 The Power Stick estimates the average golfer will increase their speed by at least 8 mph when they drill 20 swings every day. A gain of 8 mph equates to a distance increase of 20 yards on every shot. The Power Stick is currently being offered at a special promotional rate of $99. It comes with a 60-day money-back guarantee. That’s a full refund minus shipping and handling, no questions asked. The potential value of the Power Stick depends largely on the needs of your game. 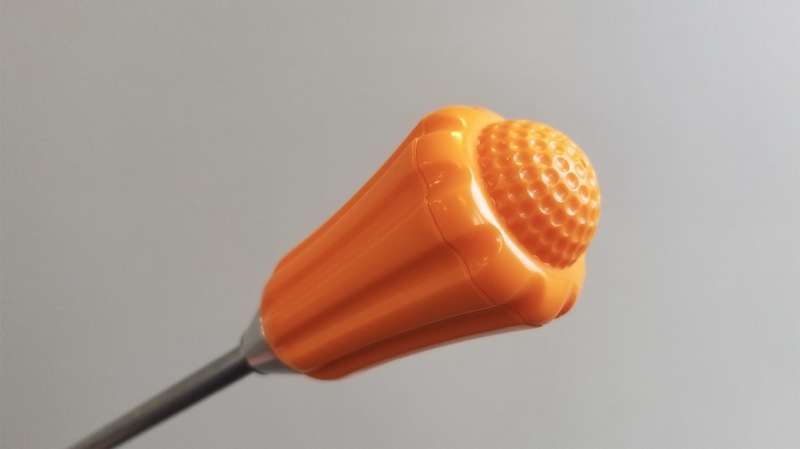 From our vantage point, this training aid has a lot to offer those golfers who haven’t been able to get the distance they want, who have been struggling with lag, or who feel like they’re swinging out of their shoes only to watch the ball go nowhere. There is also a lot to be said for that effective crack sound. It may seem like a small detail, but that auditory cue can help you read your swing and measure your time in ways that are nearly impossible otherwise. Not to mention—as all golfers know—a solid crack is a satisfying sound when it happens at the right moment. But that’s where westand. The bigger question is . . . Does the Power Stick hold any interest for you? Are there any questions we haven’t answered? Have you found a method of your own for increasing speed or creating lag? Whatever’s on your mind, we want to hear it. Drop us a line in the comments!